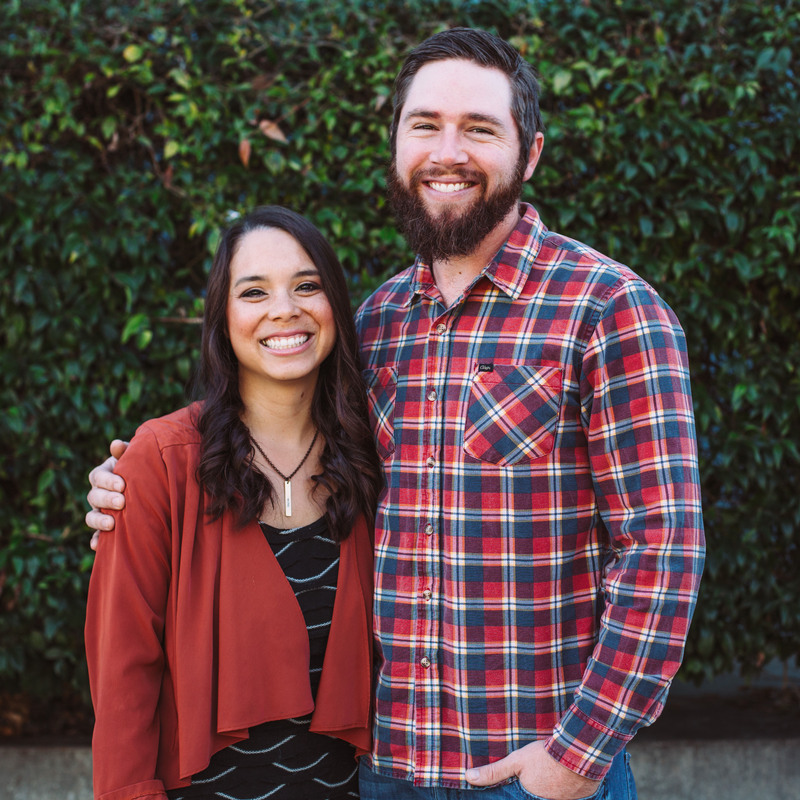 Jacob & Ally Merkey are responsible for leading our church in hospitality, both for our Sunday service and throughout the week. They also serve by discipling members of our church. Jacob: I love to have fun. My favorite hobby, by far, is surfing. I’m not as good as I’d like to be, but I like to do it as often as I can. I also like climbing, and being outdoors as much as possible. Ally: I really enjoy doing anything outside- walking, hiking, climbing, riding bikes, swimming, beach volleyball, and camping. I also pretty much equally love being inside, having conversations with friends, playing games or hanging with my hilarious husband. Jacob: Most people don’t know that I am a softy at times; I cry very easily, even though I like to come across as a strong, rugged man. I also can’t burp. Ally: Most people don’t know how much of an introvert I am. I love to be alone for a good portion of time everyday. Also, in some of that alone time, I enjoy memorizing digits of the number Pi. Jacob: If I were stuck on an island by myself and only had three books to bring with me, I would bring The Gospel by JD Greear, You can Change by Tim Chester, and, of course, the Bible, by God! Ally: The Bible. Everyday. For sure! Not just the easy-to-read books but the crazy books of the Old Testament as well, like Judges! All scripture is profitable and the more I read, the more the rest of scripture begins to make sense, and my love for God just grows and grows. Two others: Knowing God, by JI Packer and Confessions of St. Augustine by St. Augustine. Both of those books eloquently explain questions I’ve always had about God and his holiness, grace and power. When I read them, it’s like getting to sit down and have a conversation with really smart old men. Jacob: I love The Response Church. There are so many things that excite me about this church. I get excited when I see people, who never felt like they could fit in at a church, get plugged in and feel like they belong. I love seeing people who have been hurt by the church restored in their love for Christ’s bride by God’s gracious work in our imperfect church. I love that everyone has a place at our church. Whether that’s serving, leading, or just showing up, people will always feel that they are somehow wanted and needed at The Response. Ally: I’m overwhelmed by what God has been doing in this church! By His grace and through the power of His Spirit, I’ve seen so many hearts softened and lives transformed by His powerful gospel. I’m super excited about people growing closer together- people being vulnerable and open, and leaning on God’s word more and more.